Over the holidays, we saw three movies in the theater. I really loved one, enjoyed another and was kind of meh about the third. Read on to find out which movie falls into which category. POSSIBLE SPOILERS AHEAD. 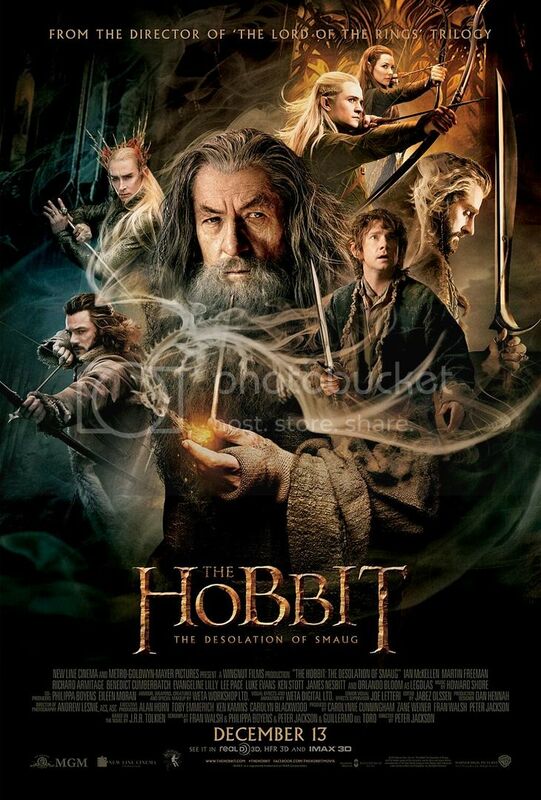 Although I really like Lord of the Rings, I was disappointed with The Hobbit: An Unexpected Journey. The odd juxtaposition of children's story with grandiose adventure (à la LotR) didn't quite mesh well with me. (You can read my Haiku Revieu of the movie here.) Therefore, I wasn't expecting much from The Hobbit: DOS. 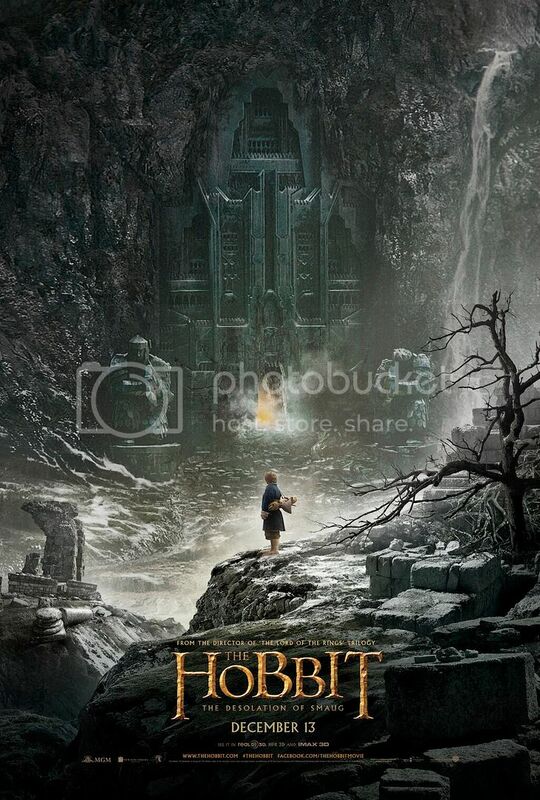 The movie follows Bilbo, Gandalf and the dwarves as they make their way closer to the Lonely Mountain. Along the way, they travel through wood elf territory, where they have a bit of a run-in with Party King Thranduil, his son, Legolas, and lady-elf Tauriel (a brand-new character Peter Jackson created to include more women in the movie). Once the group escapes the elves, they eventually reach the mountain, and find their way into the dwarves' old halls. There, they come face-to-face with Smaug, the dragon that kicked them out in the first place. This second movie had a very similar feel to the first. Parts of it were all action, and others a bit tedious. I enjoy Martin Freeman as Bilbo, and it was fun to see Orlando Bloom in the role of Legolas again, even though he's aged and his caked-on makeup didn't do him any favors. Benedict Cumberbatch did a great as the voice of Smaug. My favorite part of the movie, however, was actually Tauriel. Evangeline Lilly did a great job at bringing to life a character that hadn't previously existed. And I'm all for more strong lady characters in movies. I'll definitely see The Hobbit: There and Back Again when it opens later this year, but if the first two movies are any indication, I'm not expecting it to blow me away. 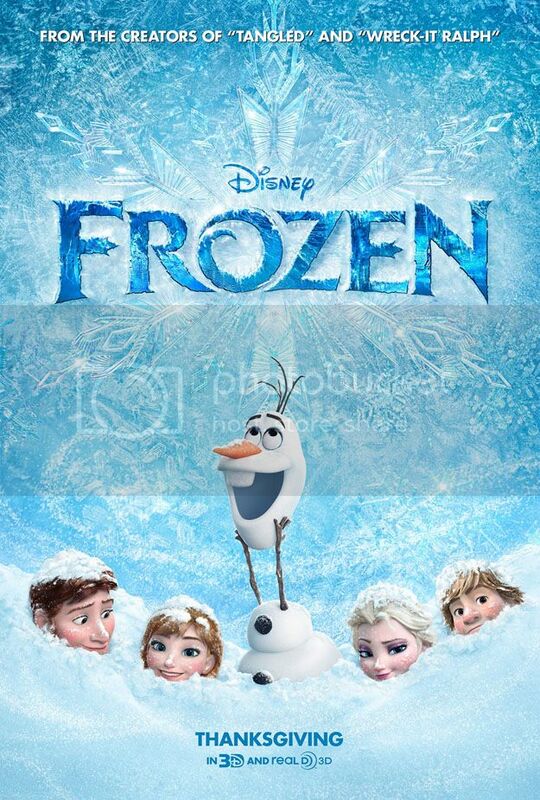 Frozen is the latest in Disney's "princess" cartoons. This one focuses on two sisters—Anna, who's a total free spirit, and Elsa, who's "afflicted" with the ability to control the winter. After a childhood accident threatens Anna's life, their parents shut Elsa away, "for her own good." When the girls' parents die, Elsa, being the oldest, is to take the throne as queen ... but the stress of the coronation and all that it entails cause Elsa's powers to burst free, and she runs to the hills to escape. Anna, of course, chases after her. Although there is a love story at the heart of the film, it's not one that you'd expect, if you know what typically happens in films like these. There are charming men who cross paths with the sisters, but even they aren't your typical Disney men. I really enjoyed the twist on the norm. And I love Anna. She's cheerful and honest and strong—more like a "normal" person than any of the other princesses, I feel. Additionally, although most Disney princess films have a lot of musical moments, Frozen is more of a musical musical, if that makes any sense? 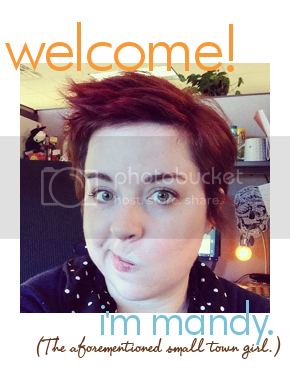 (It seemed more theatrical, if that helps any.) The songs are super catchy—we had "Do You Want to Build a Snowman?" and "In Summer" stuck in our heads for days afterward—and Jonathan Groff (Kristoff) and Idina Menzel (Elsa) were fantastic. Kristen Bell (Anna) and Josh Gad (Olaf) were total surprises, but the two held their own when stacked against the Broadway stars just fine. I definitely see good things in the future of Disney's princess movies if this one is any indication. *Alternate last line: Guys can be d-bags. POSSIBLE SPOILERS AHEAD. As evidenced by my rating above, this was definitely my favorite movie of the three we saw over the holidays. But I have a soft spot for quirky movies starring comedians acting against the norm (e.g., Stranger Than Fiction). Overall, this movie is just ... lovely. Ben Stiller both starred in and directed the film, and I really like his character and the way the movie was shot. It's a story about finding out who you are and living life without always worrying about the consequences of making decisions that might seem too scary. It's got a great message. It's also got a weirdly funny scene or two mixed in, so it's not completely unfamiliar Ben Stiller territory. (My favorite: "Just nestle in here ...") The movie has a fantastic soundtrack that really adds to the plot, too. The combination of all of the above makes this a movie I'd definitely recommend to everyone. What about you, friends? Did you see any movies over the holidays? If so, anything you'd recommend? I totally agree with you about The Secret Life of Walter Mitty! I don't know why critics hated it, it was so adorable and fun. A total feel good movie about going out and living life! How can you not like that? I too was less than impressed with The Hobbit - so much so that I opted not to see the second one in theatres. I figured I'll save the ticket money and Netflix it. I actually didn't have a problem with the grandiose version of the story, but with the fact that in a serious amount of cases, I felt that I was looking at a shot for shot remake of LoTR. Which I could understand, as an homage, if it weren't still being directed by Peter Jackson. More often than not I found myself thinking, 'Okay, he's either so arrogant he's doing an homage to himself, or so lazy he's using identical shot setups from the LoTR movies.' Either way, I wasn't too impressed. . .though I am sad I'm missing Benedict Cumberbatch's voice on the big screen Le sigh. And I SO WANT to see the Secret Life of Walter Mitty! I think it looks fantastic. Critics are so weird. I almost never agree with them. Interesting viewpoint, Kay. I hadn't thought about the Hobbit in those terms before, but now that I think about it, you're totally on to something. 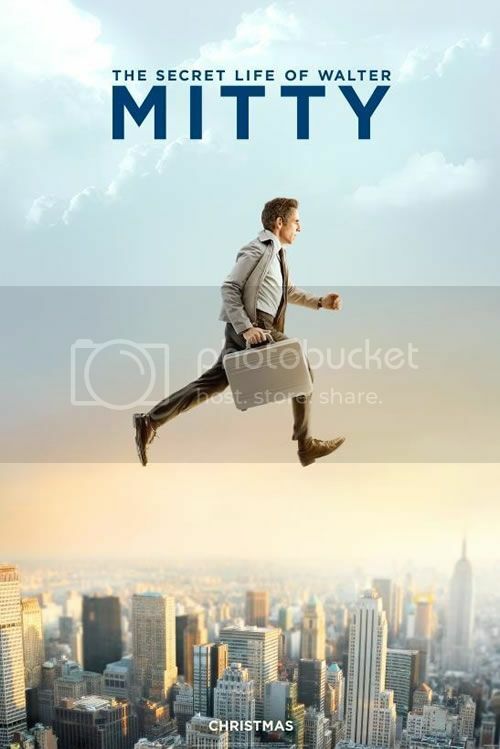 Definitely go see Walter Mitty! It's so wonderful.